The Suzuki Swift might be an outside choice but, since the 2005 model was introduced, it’s been a fun-to-drive little car that offers decent value for money. 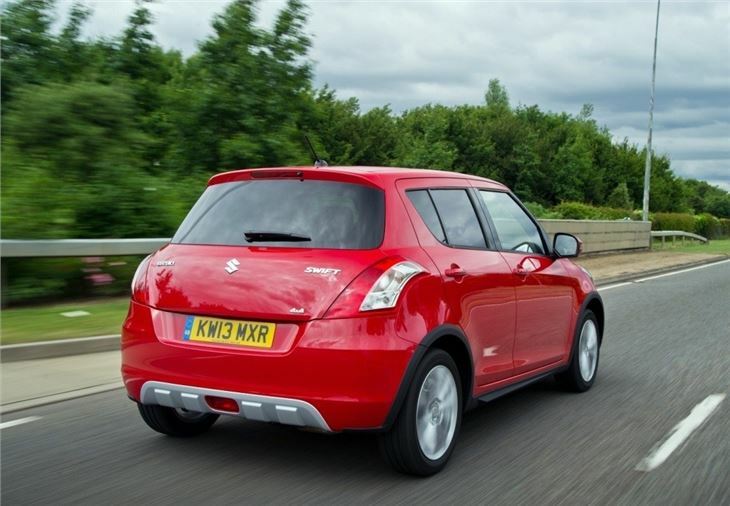 It was replaced with an all-new but similarly styled car in 2010 – and now Suzuki has tweaked the design further. 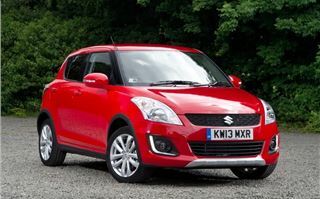 More importantly it’s offering a new 4x4 model designed to cope with poor weather conditions. It’s the antithesis of the modern ‘crossover’. 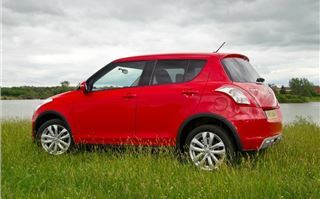 While they tend to wear brash, off-roader styling and sit high above the ground, they usually sell with front-wheel drive and would get stuck on a slippery grass field or a snowy winter lane. 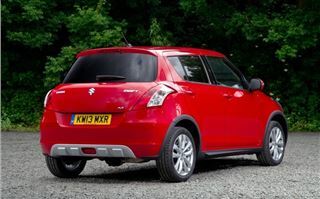 Conversely the Swift 4x4 looks like a cute hatchback but it has a proper all-wheel drive system, though one geared toward grip in bad conditions, rather than climbing mountains. 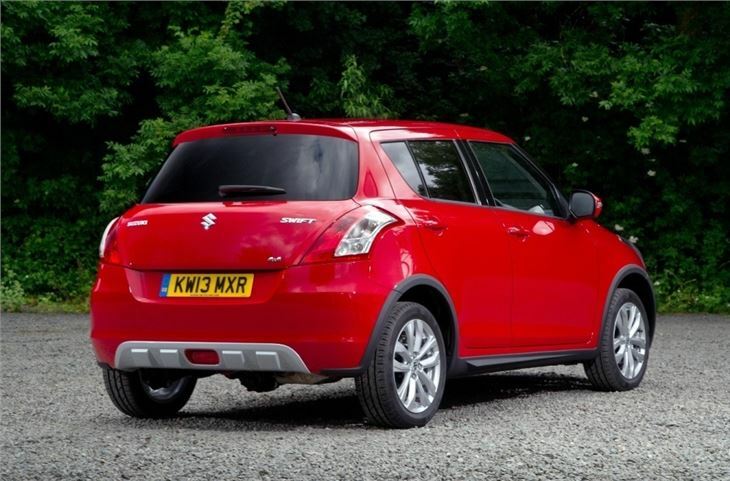 The car in the images is a top-spec SZ4 has black wheel arch extenders and has some metallic brush guards moulded into the bumpers, but they’re cosmetic rather than functional and the lower spec 4x4 doesn’t get them at all. Indeed the only real cosmetic difference is a 4x4 badge and a slightly higher ride height. It’s quite refreshing to see something that’s understated in an era of style over substance. 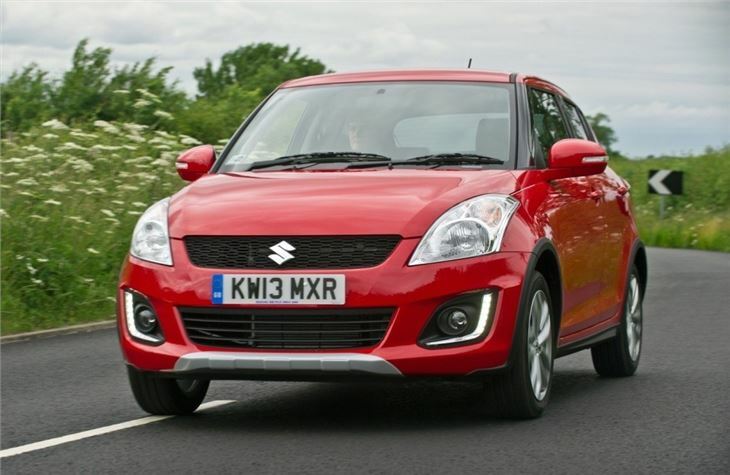 At the heart of the Suzuki Swift 4x4 is a viscous coupling. This is a drum that contains lots of plates which, in normal conditions, don’t interact with one another. 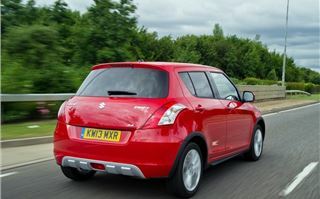 If, however, the front wheels start to turn much faster than the rear wheels the plates react with a liquid in the unit. The liquid becomes more viscous and locks the plates together, sending drive to go to the rear wheels. 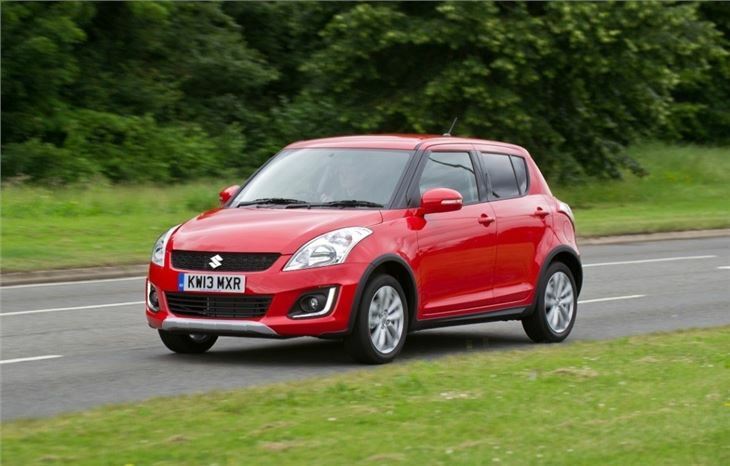 In short, it means the all-wheel drive system in the Swift 4x4 is mechanical and relatively simple – it doesn’t rely on complicated electrical systems, clutches or heavy components and, as a result, it only adds 65kg to the weight of the car. 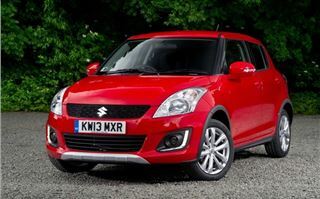 Given the regular Swift’s light weight that’s good news for both the way it drives and its fuel economy. That said it is slightly less efficient. It’s only offered with the 94PS 1.2-litre petrol engine fitted to the regular Swift, but emissions are up by 10g/km to 126g/km and fuel economy is down from 56.5mpg to 51.3mpg – differences that should make little difference in the real world, save for the annual tax disc costing £75 more. 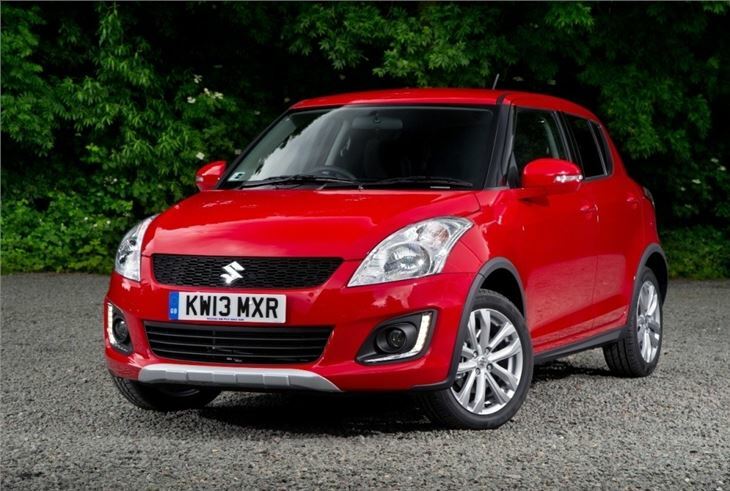 In the cabin you get the same dashboard and interior as a two-wheel drive Swift. It’s classy and neat, but the plastics are a little on the hard side. 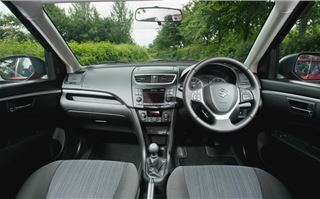 The driving position is comfortable and easy to adjust, but it’s not as high up as a crossover. 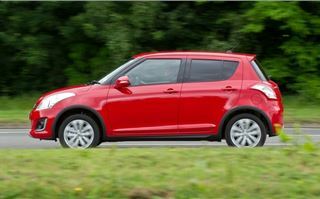 In fact, it feels pretty much identical to the two-wheel drive car, even when you take it out on the road. The controls are feather-light but they’re accurate and the 1.2-litre engine, despite lacking a turbocharger or any other new-fangled technology, offers performance sprightly enough to make respectable progress and keep up with traffic, though acceleration isn't great - you'll have to plan ahead to overtake. 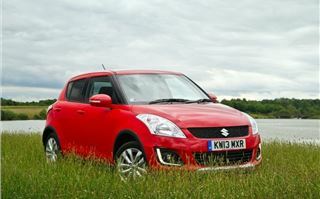 It’s a fun, agile little car that feels at home in town, but even more so in the countryside if you keep the revs up. That’s really the environment the Swift 4x4 is meant to live in. Our test route took in a rough, rutted gravel track and it managed fine. Granted, a Land Rover Defender would have made much lighter work of it, but for a small, cheap hatchback its performance was commendable, in part thanks to increased ground clearance. 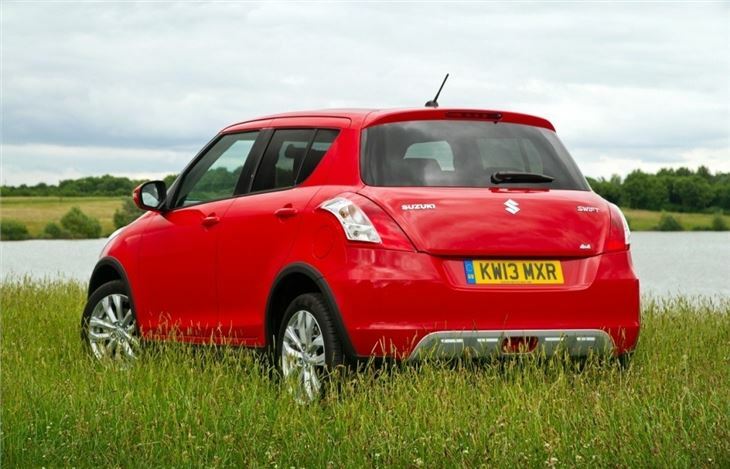 There were a few crunches and grinding noises, though because the ground clearance, while higher than a standard Swift, isn’t really high enough for proper rough and tumble routes. 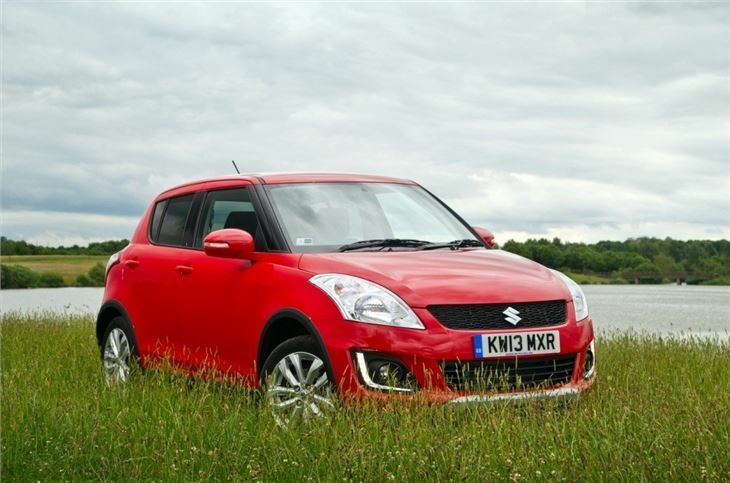 However, head to a damp field or a slushy road and the Swift 4x4 will be in its element. 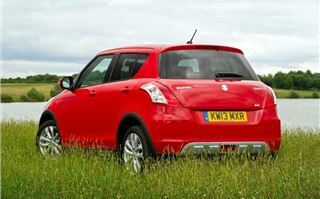 For rural buyers who want a simple, small car but don’t want to get stuck in the winter, the Swift 4x4 is a wise buy. 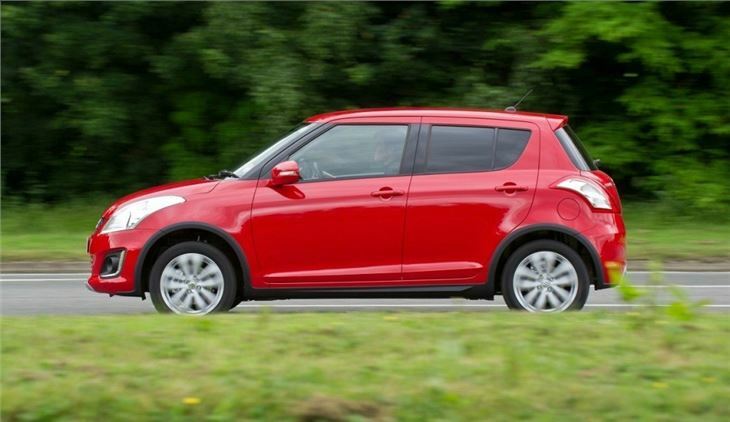 It does have a few issues, though, all of which are shared with the two-wheel drive car. First of all, the boot is rather small and it has a high load lip, making loading and unloading of bulky items a serious pain. 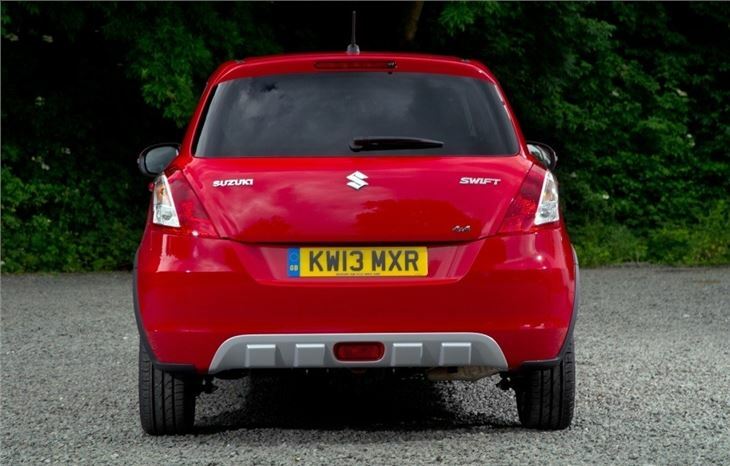 One criticism has been addressed, though – the parcel shelf now folds down automatically. 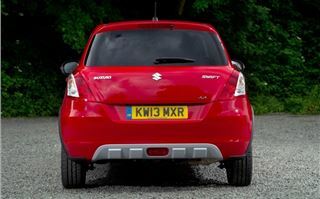 It used to stay up and block the rear view in earlier Swifts. There’s another issue, too - the Dacia Duster, a larger, more practical 4x4 that can be bought for about the same price. But prospective buyers shouldn’t be put off – the stylish Swift has a good level of standard equipment and is available for a decent price – even less when bought on one of Suzuki’s regular special offer schemes.